Dan joined Watsi on April 23rd, 2015. Four years ago, Dan became the 1152nd member to automatically support a new Watsi patient every month. Since then, 3,935 more people have become monthly donors! Dan's most recent donation traveled 8,500 miles to support John, a man from Kenya, to fund spinal surgery. Dan has funded healthcare for 46 patients in 13 countries. John is a man from Kenya. He is a father of two children who are in primary school. A little over a year ago, John sustained a spinal injury when he fell from a tree. He has not been able to afford the necessary care to treat his injury. Now, he has been diagnosed with cervical mylopathy, a degenerative disorder that causes gait imbalance and clumsiness due to a compressed spinal cord. Fortunately, John is now scheduled fo spinal surgery on March 15 to treat this condition. He needs help raising $1,500 to fund this procedure. John says, “My prayer is to be able to walk again and in upright gait. I am really suffering due to this condition." Samson is a maize and groundnut farmer from Malawi. He lives with his wife and six kids. Since December 2018, Samson has been experiencing failure to urinate and back pain. These symptoms are caused by an enlarged prostate, a condition called benign prostatic hyperplasia. He needs to undergo a prostate resection surgery, a procedure in which surgeons will remove part of the enlarged gland. Our medical partner, World Altering Medicine, is requesting $733 to fund Samson's surgery. On February 14, he will undergo prostate surgery at Nkhoma Hospital, our medical partner's care center. The requested money pays for supplies, medications, and two weeks of hospital stay. He says, "This program is going to help us so much because when I am in good health and return home, I plan to fix the roof on our home!" Hosea is a motorcycle taxi operator from Kenya. He is a hardworking man. In early December, Hosea was hit by a falling tree while he was riding a motorcycle. He sustained a severe injury to his right leg. He cannot stand or walk with his right leg. Fortunately, surgeons at our medical partner can help. On December 20, Hosea will undergo a fracture repair procedure, called an open reduction and internal fixation. This procedure will help him walk easily again once he is recovered. Now, our medical partner, African Mission Healthcare Foundation, is requesting $968 to fund this procedure. Hoasea says, “My ultimate dream is to work in the matatu (public transport vehicles) industry in whichever capacity if I can find." Nancy is a girl from Kenya. She is an only child. Three months ago, Nancy began complaining of persistent headaches and weakness in her left limbs. At school, her teachers noticed a decline in her performance. Her vision became blurry, and her left ear developed an ache. She could no longer walk without support and even lost her appetite. Her young mother was very worried and took her to a referral hospital, where a CT scan was performed. Nancy was diagnosed with a brain tumor. If not treated, Nancy at risk of paralysis, persistent headaches, or brain damage. Fortunately, she is scheduled to undergo a craniotomy to treat the tumor on November 21. Her family needs help raising $1,500 to fund this procedure. “I really look forward to seeing my daughter functioning well once more,” says Nancy’s mother. 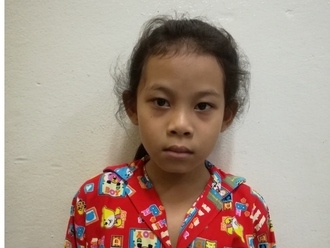 Chhary is a driver from Cambodia. He has a son, three daughters, and five grandkids. He likes to watch soccer and boxing matches on TV. 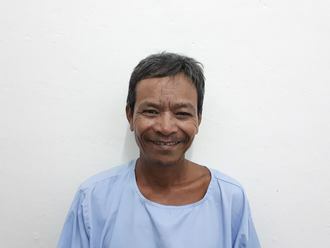 A year ago, Chhary developed a cataract in each eye, causing him blurry vision, tearing, headache, and photophobia. He has difficulty seeing things clearly, recognizing faces, and going anywhere outside. When Chhary learned about our medical partner, Children's Surgical Centre, he traveled for three hours seeking treatment. On August 14, doctors will perform a phacoemulsification and an intraocular lens implant in each eye. After recovery, he will be able to see clearly. Now, he needs help to fund this $398 procedure. He says, "I hope I can see clearly so I get get back to work soon." 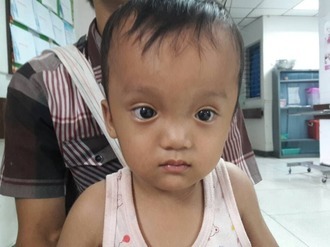 Say is an 18-month-old baby girl from Burma. She lives with her parents, her paternal grandparents, and her uncle. Say likes to play with any toys she can get. When she was seven months old, Say's parents noticed that she was experiencing troubling symptoms. After bringing her to multiple clinics, Say was diagnosed with a vaginal tumor. Due to her condition, Say experiences discharge and difficulty passing urine. She also suffers from intermittent fevers. Say sought treatment through our medical partner, Burma Children Medical Fund. She is now scheduled to undergo mass removal surgery on April 20. She is requesting $1,500 to cover the total cost of her procedure and care. "I wish that my daughter will grow up well," says Say's mother. "I would be very happy if she could become doctor."